Your favorite Star Trek episode(s)? Mine has always been Errand Of Mercy with the great John Colicos as Commander Kor. 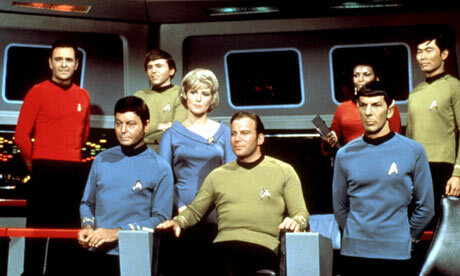 "Hmm.....smile and smile.....I don;t trust men who smile too much..."
Re: Your favorite Star Trek episode(s)? I watched that last night on Fox Retro, believe it or not. Balance of Terror - okay so it's a WWII warship vs. submarine movie, but the performance from the Romulan commander (Mark Lenard, who would go on to play Spock's father in later episodes) and the whole cat-and-mouse scenario combined to make a truly unforgettable episode. The Doomsday Machine - an extremely dramatic episode with a fantastic performance by William Windom as Commodore Decker make this another unforgettable one for me. There are a bunch of other standout ep's but those are my two favorites. I can't think of any off hand that I would consider a favourite, though I am a very casual fan of the series. Very hazy, yes, but I remember enjoying it all the same. ^ Oh yeah, I loved Catspaw, great episode to watch around Halloween. The Galileo 7 was another fav'e of mine too. Tough question. I've been watching TOS again for the first time in a few years, and I keep getting reminded of great episodes. I would have to put The Doomsday Machine high on the list. Not only a great performance by William Windom, but I always thought the planet killer itself was a really cool machine. Spock's Brain is good. Kind of a funny episode with some neat ideas, and Deforest Kelley is at his scenery-chewing best. The City on the Edge of Forever has lots going for it. A solid time-travel story with humour, drama and lots of insane Bones. And the funniest episodes, A Piece of the Action and The Trouble with Tribbles both have a lot going for them. Also, A Wolf in the Fold, That Which Remains, The Squire of Gothos, By Any Other Name, The Naked Time and certainly more. I haven't watched TOS in a long time, I should get on that again. I remember some years ago, a friend had borrowed me his DVDs, and I was really surprised at how good this one episode was. I had expected the show to be much more campy...which, I guess, some episodes will deliver. 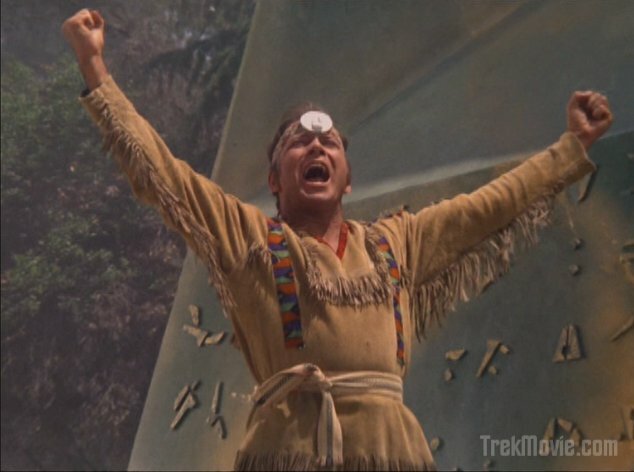 Anyway, in said episode, Kirk lands on some planet, loses his memory, and becomes part of what I remember as being an indian tribe. Anyone know the name of that ep? That was The Paradise Syndrome. TNG- Inner Light- where Picard lives a whole life as someone else in a few minutes. DS9- The Die is Cast- Where the Cardassiana nd Romulans attack the Dominon, and get stepped on. Equinox- Where Voyager discovers a ship who didn't take teh high road to get home. Basics I/II- The Season 2 fanale where the crewman who murdered is required to save the ship.